Kim Trogal is a lecturer at the Canterbury School of Architecture, University of the Creative Arts. She completed her architectural studies at the University of Sheffield, including a PhD in Architecture (2012) for which she was awarded the RIBA LKE Ozolins Studentship. Kim was research assistant at the Sheffield School of Architecture (2012–2015), exploring issues of local social and ecological resilience, and Postdoctoral Researcher at Central Saint Martins, University of the Arts London (2014–2016). 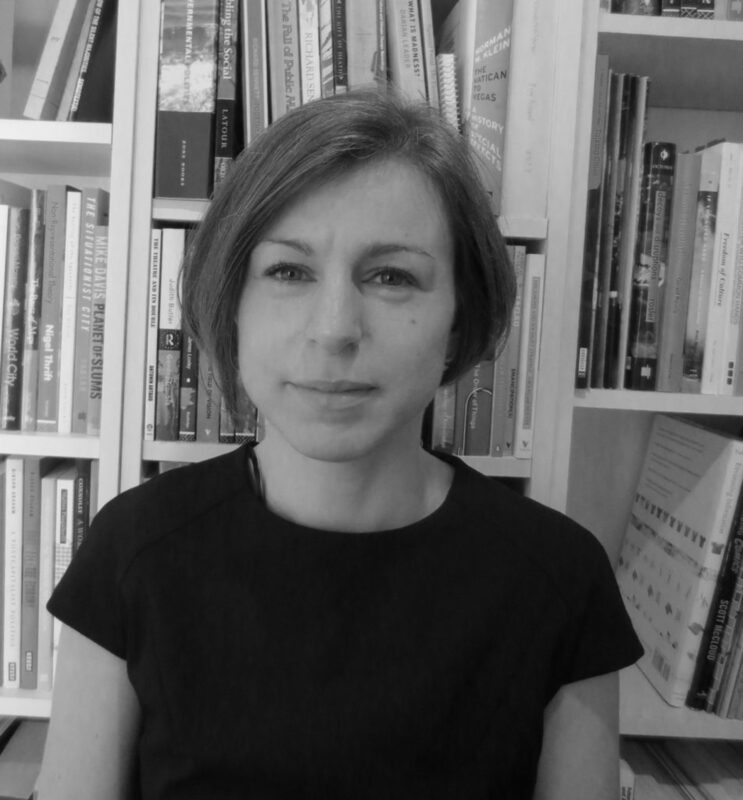 She is co-editor, with Doina Petrescu, of The Social (Re)Production of Architecture (Routledge, 2017), with Doina Petrescu, Irena Bauman and Ranald Lawrence of Architecture and Resilience: A series of interdisciplinary dialogues (Routledge 2018 forthcoming) and co-editor with Valeria Graziano of a special issue of the journal Ephemera: Theory & Politics in Organisation, called ‘Repair Matters’ (2019). Kim’s research covers the intersecting fields of feminist theory, ethics and politics in contemporary spatial practice. Her PhD investigated ‘feminist ethics of care’ in contemporary architectural practice, examining care in spatial practices in terms of their economies and labour; affect and motivation, as well as their forms of organization such as commons, mutual aid and networks. Her current collaborative research project on Repair, with critical management scholar and activist Dr. Valeria Graziano, shifts the focus to forms of care for objects in the context of rising consumer waste, and to examine the organizational politics and accompanying these newly emerging practices across Europe.